Day 13 saw no writing accomplished. It was a day of celebration, and preparation for celebration, of the college graduation of my step-son Austin. Day 14, today, actually saw some writing. 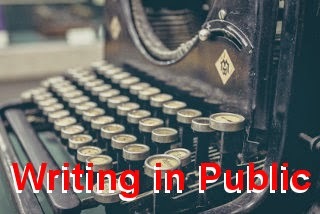 I wrote about opening lines and how to practice writing them, for my How To Write Fiction blog. That article will appear online in late January. I miss the Cold War. Sure, you never knew if some testosterone-filled bureaucrat might decide to press the button that vaporized you. But at least the electronics worked until he did. The Cyber War turned using anything electronic into a game of Russian roulette. I might have to work on this one some more.